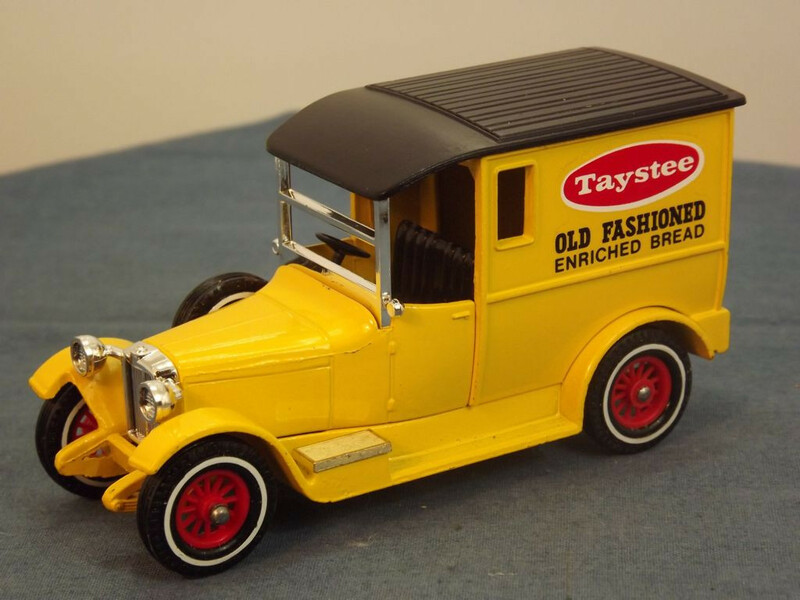 This is the Matchbox Yesteryear Y5-4-D-1 Talbot Van (1927) in yellow Taystee livery. 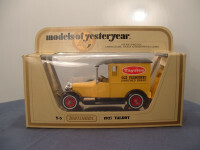 The model comes packed in its original straw coloured box. It is a Code 1 issue from Lesney and has a rounded top side to the decal. 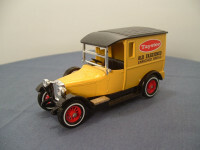 The model has no opening parts other than the rear doors which are painted in the body colour, yellow. 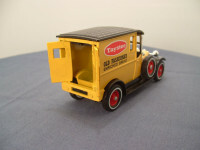 The vehicle roof is black, the seats are black plastic, and the tool box lid is brass coloured. There is no glazing. 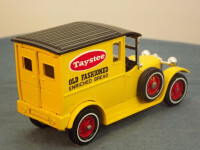 Other Comments/Identifying Features: The model has the decals on each side, "Taystee" in a red oval with the white outline and curved decal top. Below this each label has "Old Fashioned, Enriched Bread" in black text on two lines. 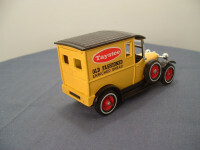 All labels have curved top and rectangular bottom corners. 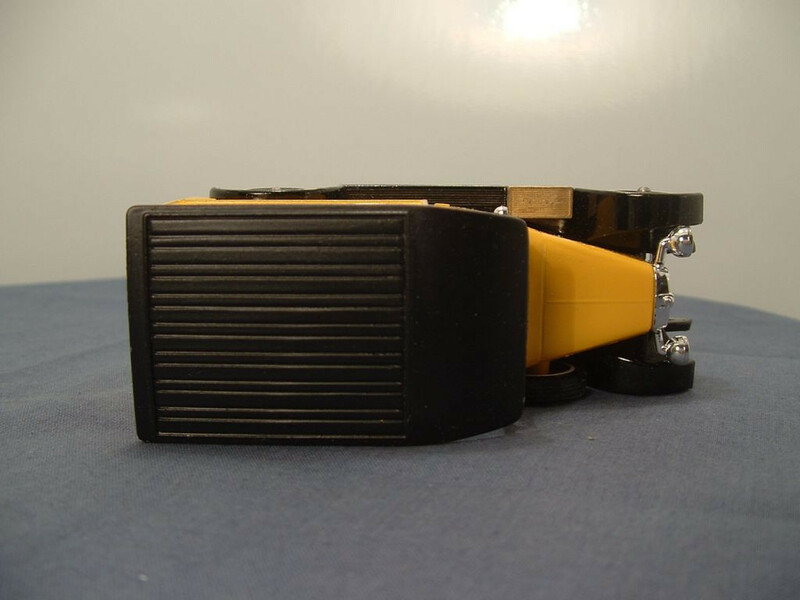 The base plate is yellow painted metal and is held in place by three machined rivets. 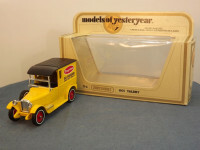 It is marked "Made in England" under the left running board, "Matchbox, © 1978 No Y-5, Models of Yesteryear, 1927 Talbot Van" on 4 lines to the centre of the base, and "Lesney Products & Co. Ltd" on the underside of the right running board. 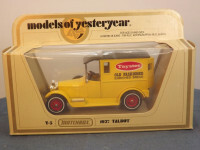 Issued in 1980 with a stated scale of 1:47. 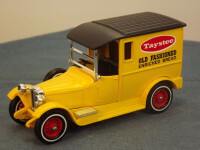 This is the Matchbox Yesteryear Y5-4-D-1b Talbot Van (1927) in yellow Taystee livery. 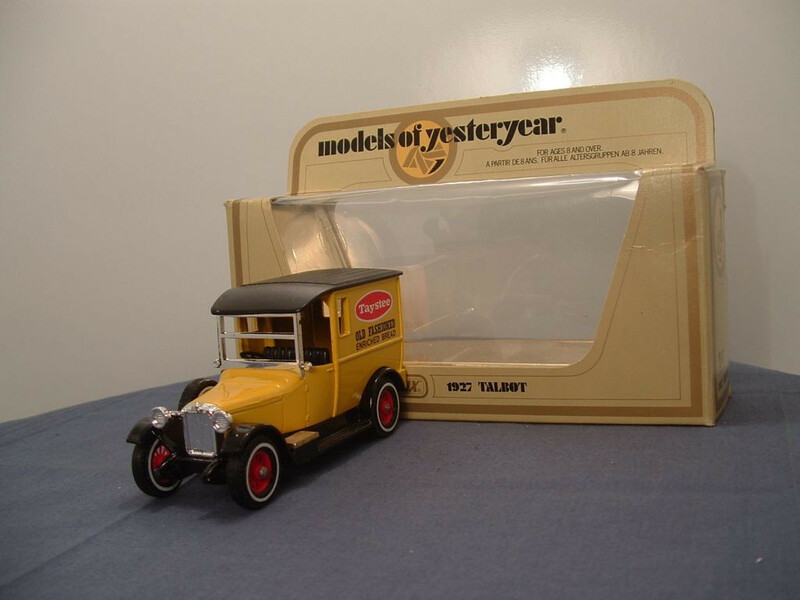 The model comes packed in its original straw coloured box. 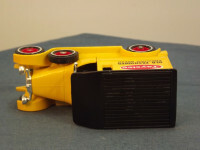 It is a Code 1 issue from Lesney and has a rounded top side to the decal. Other Comments/Identifying Features: The model has the decals on each side, "Taystee" in a red oval with the white outline and curved decal top. 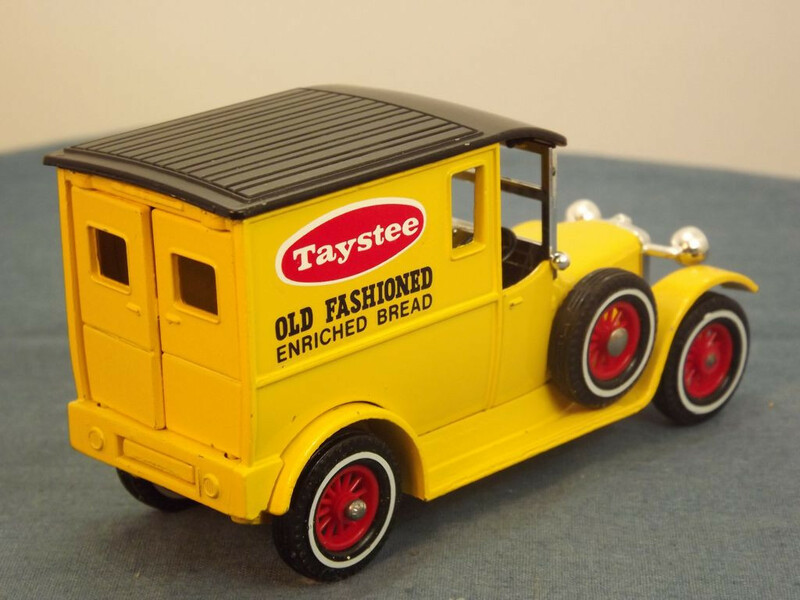 Below this each label has "Old Fashioned, Enriched Bread" in black text on two lines. 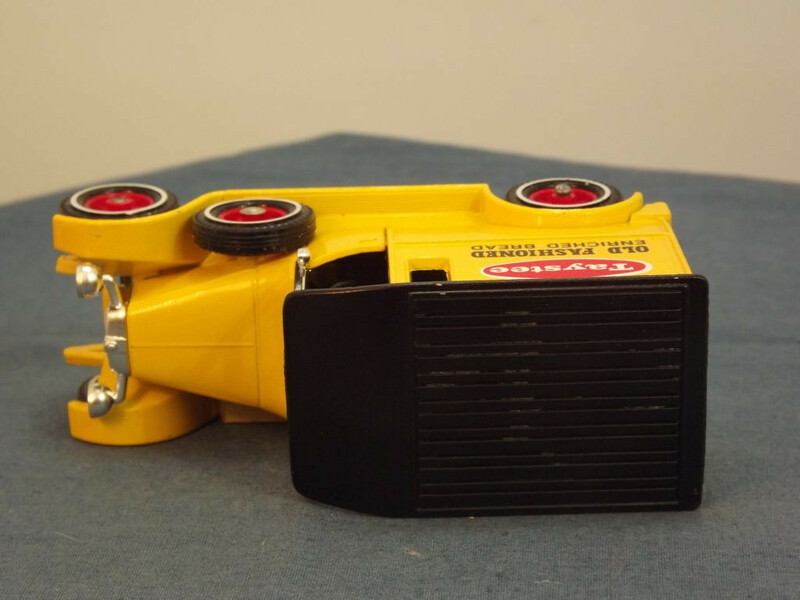 All labels have curved top and rectangular bottom corners. 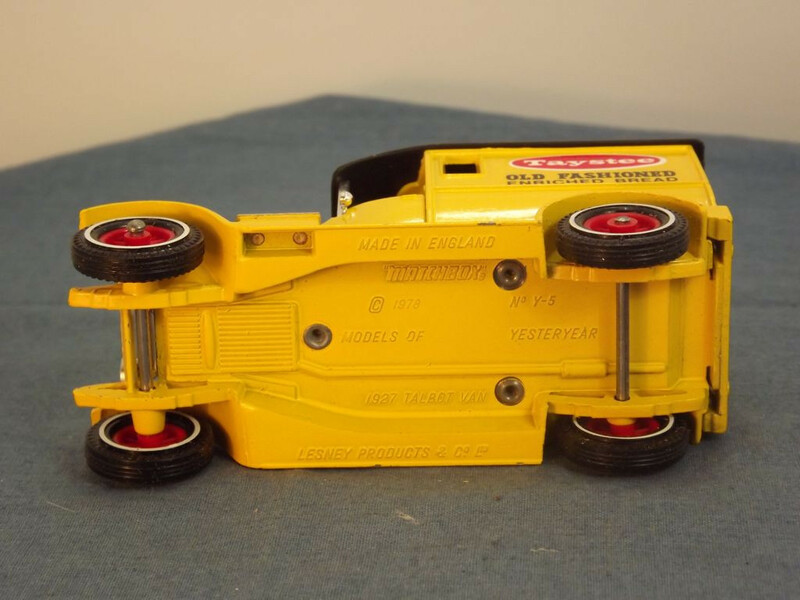 Coded 1b in my collection due to non-whitewall tyres. 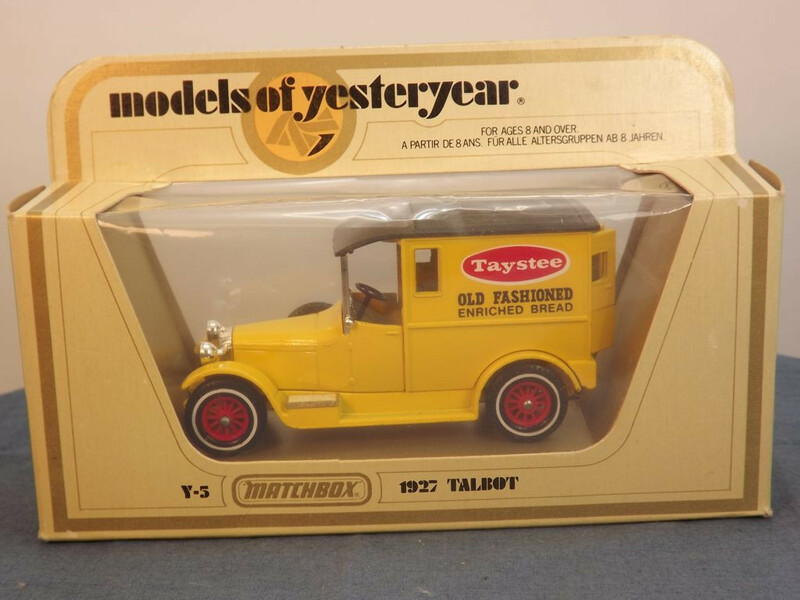 This is the Matchbox Yesteryear Y5-4-D-4 Talbot Van (1927) in yellow Taystee livery. The model comes packed in its original straw coloured box. 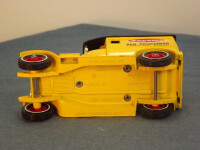 It is a Code 1 issue from Lesney and has a rounded top side to the decal. 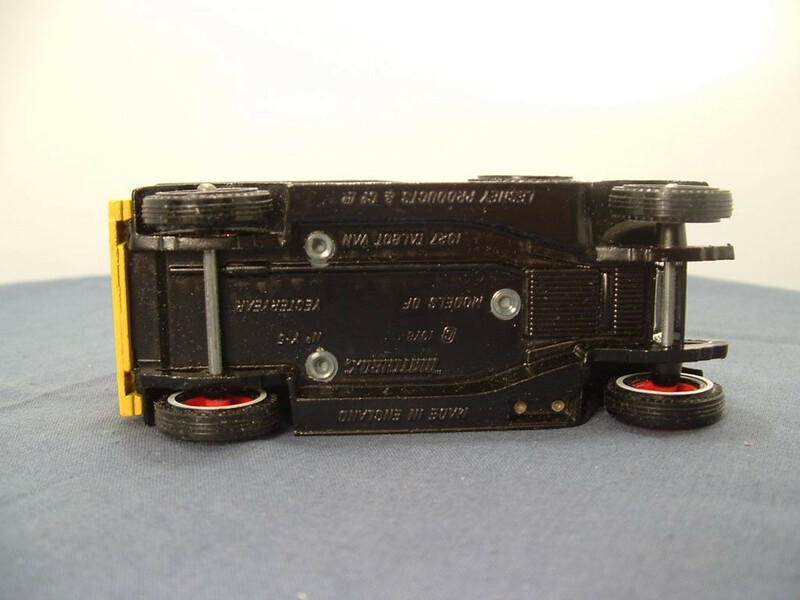 The base plate is black painted metal and is held in place by three machined rivets. It is marked "Made in England" under the left running board, "Matchbox, © 1978 No Y-5, Models of Yesteryear, 1927 Talbot Van" on 4 lines to the centre of the base, and "Lesney Products & Co. Ltd" on the underside of the right running board. 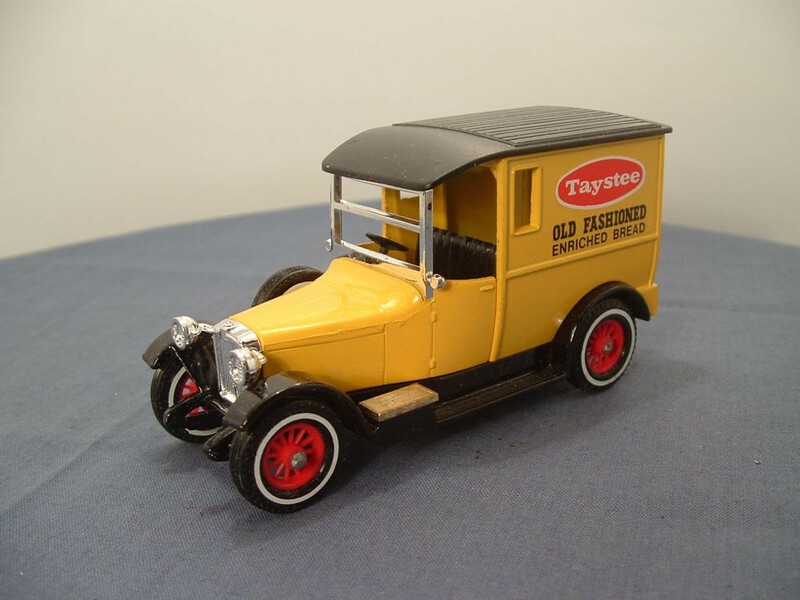 Issued in 1981 with a stated scale of 1:47.